Looking to get a little more modern art in your life? We've got you covered. From cakes that will change the way you look at color relations to cocktails that transcend traditional concepts of painting, these modern art recipes will bring your stomach the culture fix it so badly wants. Take your cream cheese swirl brownies to the next level with this deliciously chocolaty tribute to Edvard Munch's iconic The Scream. Warning: These brownies may fill those who eat them with existential terror. Inspired by Matisse's later-in-life cutout collages, these cocktails are as sweet as they are colorful, making them the perfect drink for festive art appreciation. Bonus: the recipe includes instructions on how to make your own Matisse cocktail napkins. This mid-century themed cake will be the most delicious work of abstract expressionism you'll ever experience. Pairs well with social revolution and Nietzsche. Channel your inner earless salesman by recreating his greatest paintings out of lunchmeats and lettuce. No cooking necessary, but lots of carefully arranging little squares of cheese. These Pollock-inspired cookie canvases will look great on their mini easel and even better in your mouth. This pizza uses rings of delicata squash to recreate the concentric circles found in Wassily Kandinsky's color studies. Bonus points for convenience: the recipe uses ready-to-go ingredients to have your pizza done in just an hour. 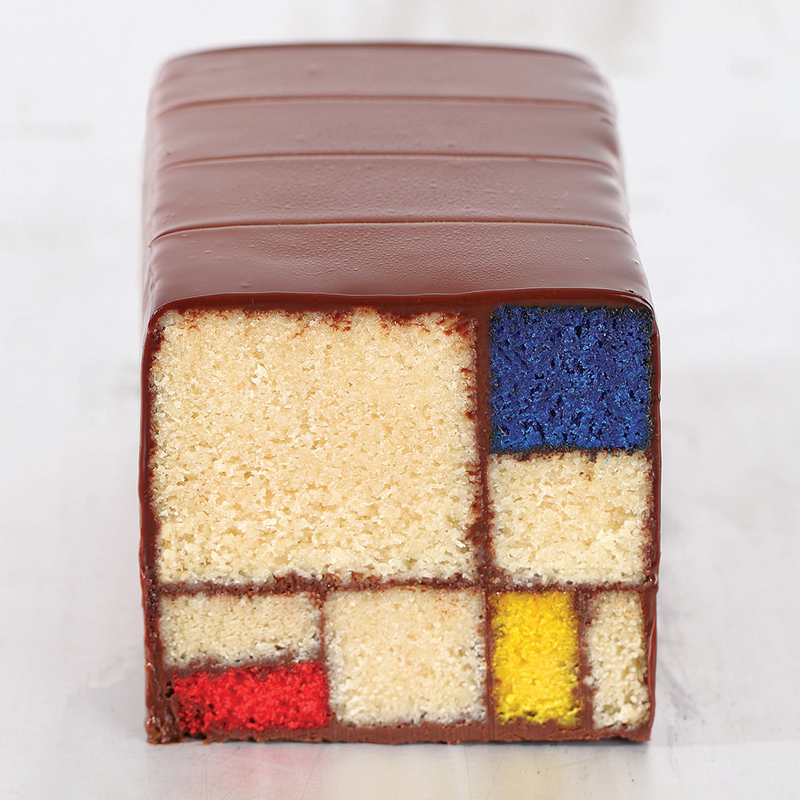 Impress your guests and create order in the universe at the same time with this gorgeous Mondrian cake. This carefully assembled composition of white velvet cake and chocolate ganache almost exactly recreates the artist's most iconic works.